Along with the explosion of Hackney’s eating scene in the last few years, food poverty in the borough has been on the rise. So Eat Hackney was pleased to meet East London Food Access (ELFA), who are champions of affordable fruit and veg. It’s a brilliantly simple idea: energetic ELFA staff head to New Spitalfields Market in Leyton to buy bargain fruit and vegetables, which they sell at cost price on Hackney estates and at primary schools. 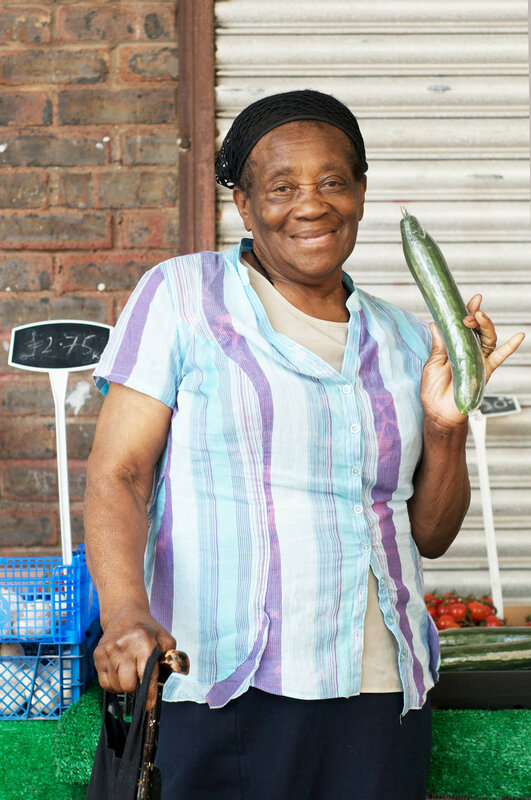 Eat Hackney visited the Nightingale Estate, where ELFA’s Anna was selling produce and enthusing about the starchy goodness of green bananas, the bargain meals you can make with a 65p cabbage, and the sweet taste of frog skin melon.